Interested readers can now access my latest Art of Medicine column — Breathing easier at the end of the day — recently published in the Journal of the American Academy of Physician Assistants. On this, the first day of Spring. There is an old Yiddish saying: “To a worm in a jar of horseradish, the whole world is horseradish.” In short, our immediate environment influences our thoughts and perceptions. Soon I must sit for my 6-year recertification examination in general medicine: a grueling 5-hour test consisting of 240 questions. I’ve been reviewing medicine for the past 4 months; lately, I’ve thought of little else. I have had a smattering of additional preoccupations. After all, the routine of daily life goes on. 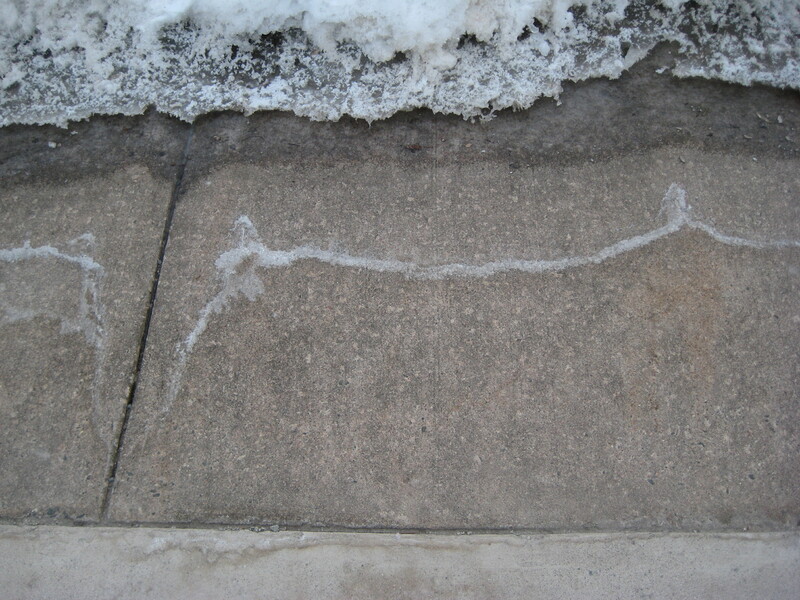 Snow must be shoveled, walkways must be kept clean, and the dog must be taken out for daily walks. Early this morning the dog and I ventured out into the winter cold. 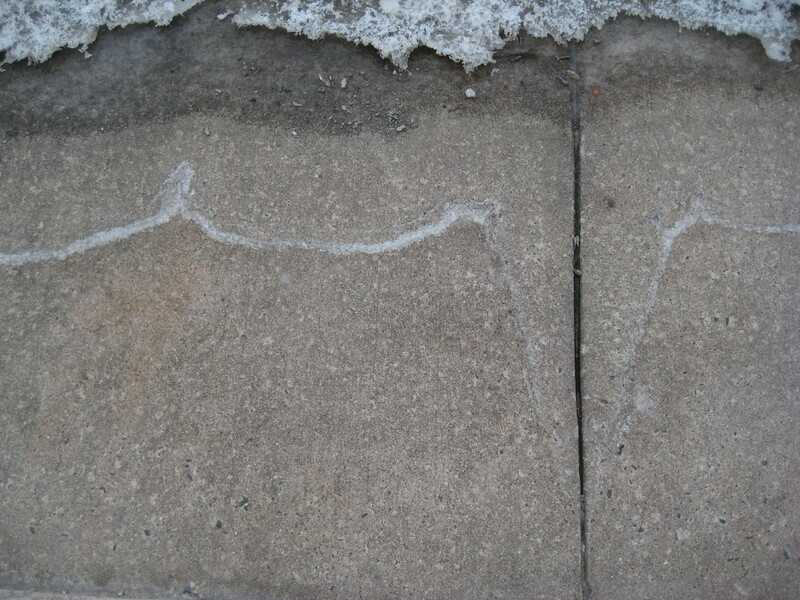 As we passed by the church at the end of our street, I noticed salt deposits on the sidewalk left behind after the snow and ice had melted. 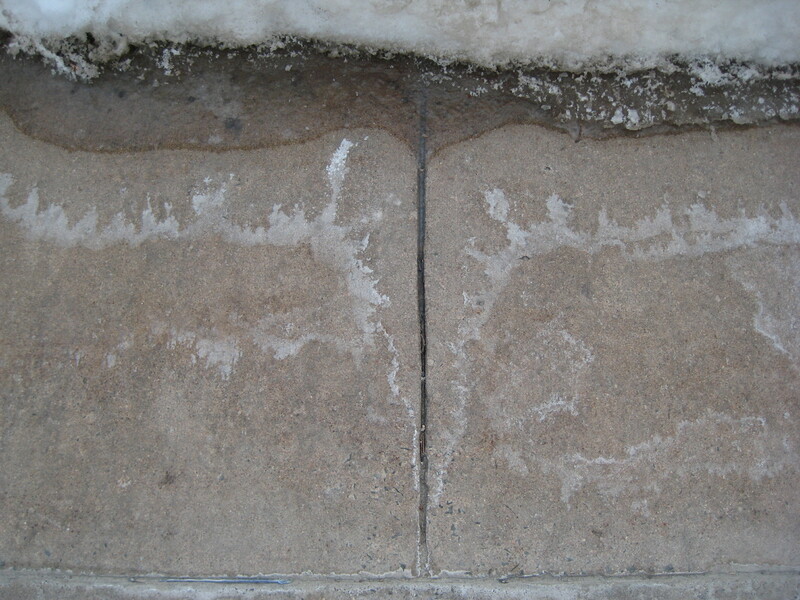 With scattered thoughts of the impending exam running through my mind, these formations appeared to resemble electrocardiographic (EKG) tracings. I returned with my camera to take a few snapshots, several of which I’ve posted below. To my eye these represent specific electrocardiographic rhythms or conditions. Perhaps my medical colleagues would like to weigh in with opinions of their own.